2014 JEEP GRAND CHEROKEE Printer Friendly Flyer. 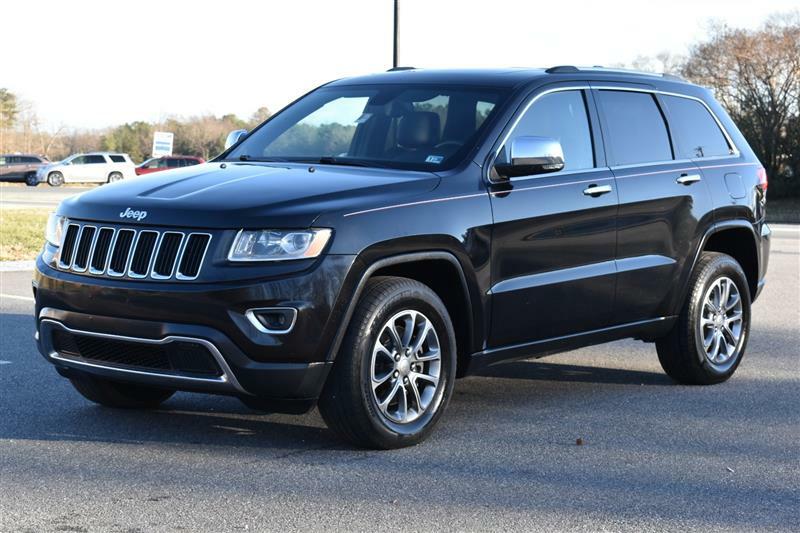 2014 JEEP GRAND CHEROKEE LIMITED with a powerful V8, 5.7L engine and driven only 90441 miles! The Jeep Grand Cherokee is perfect if you are looking for something comfortable and can powerful without going out and buying a truck. It has bright fog lights that will allow you to see in any kind of weather. Pairing that with all-wheel-drive you can drive nearly anywhere! Knowing your surroundings is important while you are driving. Especially when backing up. Lucky for you this vehicle has backup sensors and a camera that will let you see what's behind you and relieving you of worry while backing out of parking spaces. You will never get lost again with the navigation system guiding you to all your destinations. Pop open that sunroof every once in a while to feel the wind rush through your hair and to breath some fresh air. If you're a bit chilly you could always turn on those heated leather seats to keep you warm and cozy. Connecting your phone to your vehicle could never be easier with Bluetooth connection. You can listen to your favorite music and make phone calls on the go. The steering wheel controls are easy to use and keep you from getting distracted. Let's not forget that this vehicle is even CARFAX CERTIFIED! Extended warranties are available! FINANCING IS AVAILABLE! Discounts are available for military personnel and first responders!